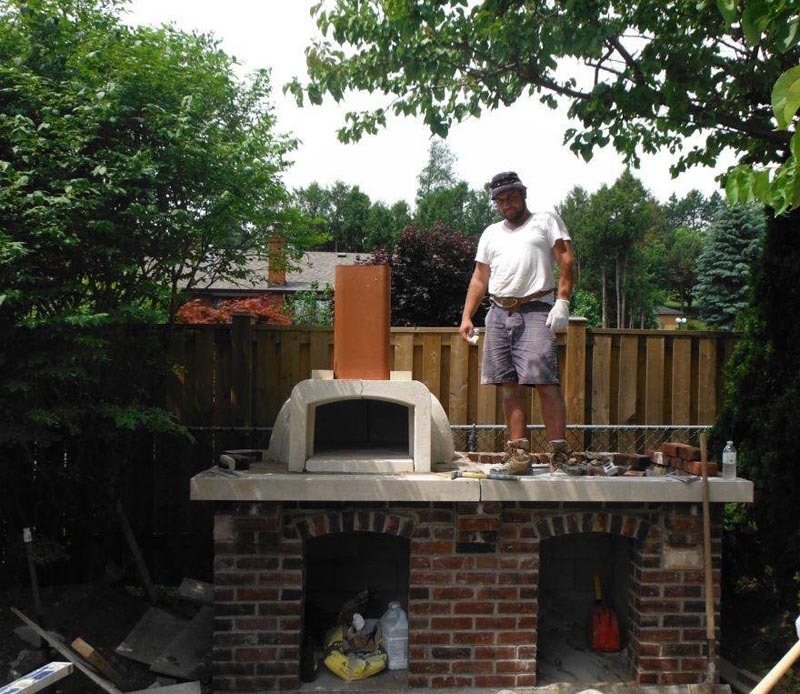 One of many wood oven projects with our Volta ovens in the Greater Toronto Area. 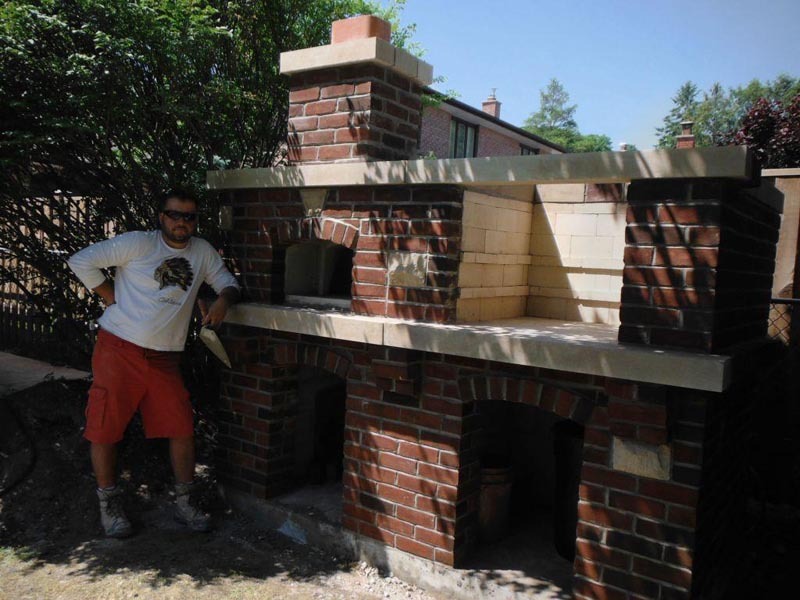 The construction process of this oven follows the standard one outlined in our other Blog posts. 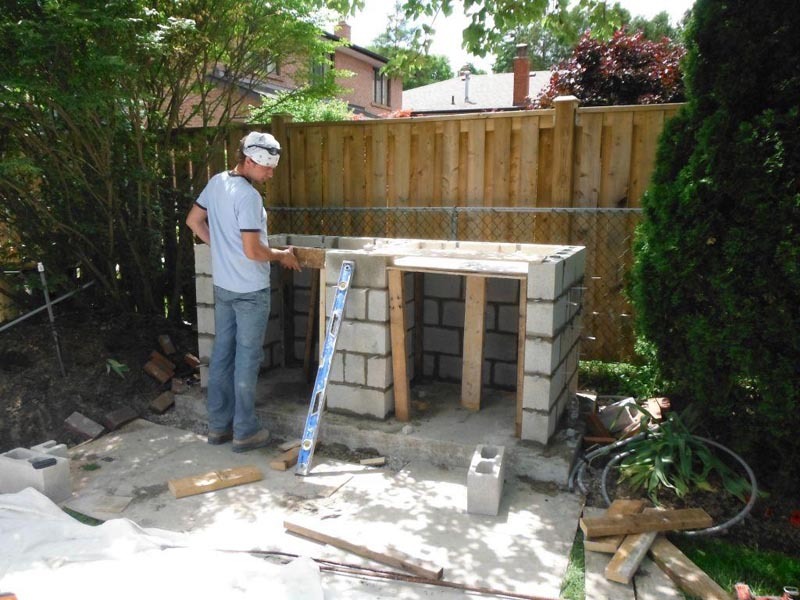 First a foundation is poured in the ground with 2x4s providing a frame for cement on all 4 sides. Next, a base is built up from cinder blocks. On top of the base the actual weight bearing surface is poured from rebar reinforced concrete. For oven insulation Mat prefers insulating refractory cements (such as Fondu) to mineral boards and ceramic blankets and does very well with them. He uses sand under the floor of the oven to level out all unevencies making sure the entire oven floor is precisely at same level. 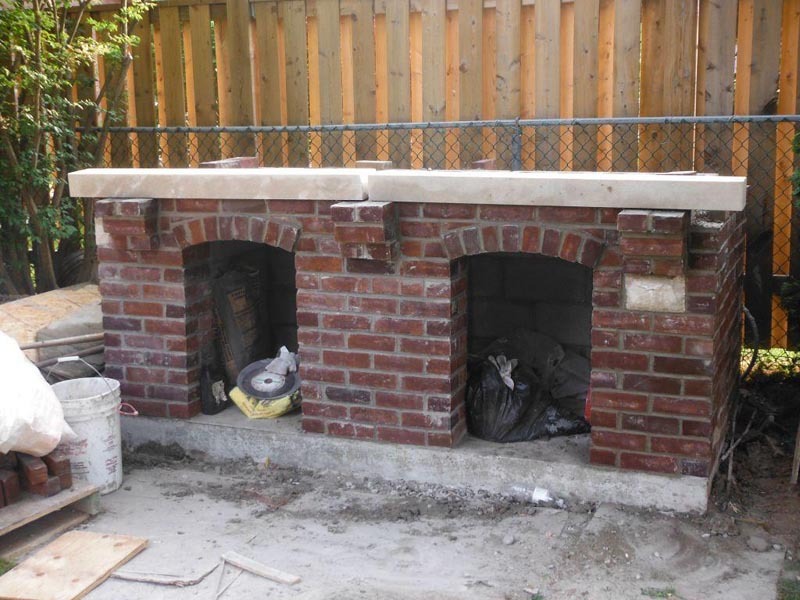 A clay flue liner is used for a chimney. The dome is covered with yet more refractory cement all over. The rest is brick work. Note how the plywood is supported before the weight bearing surface is poured. This is a crucial step - you don't want it falling through under the weight of the mix which is hundreds of lbs. 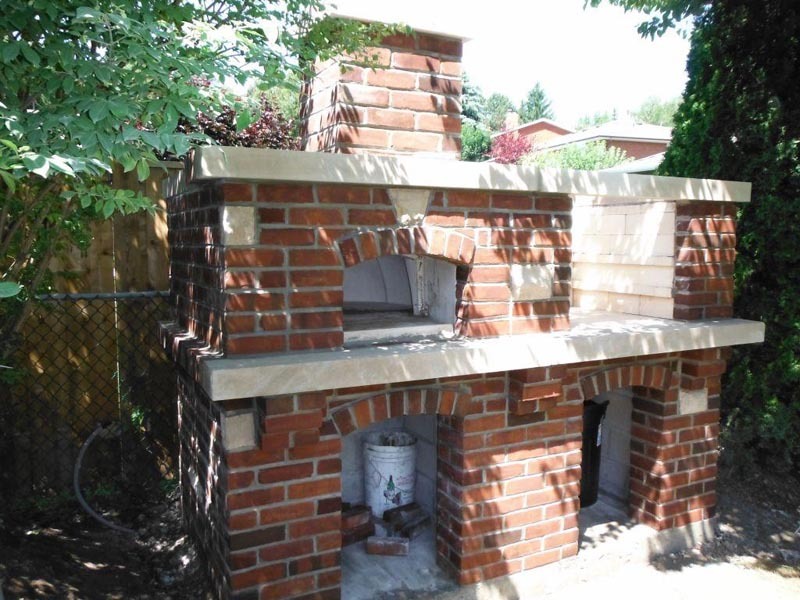 Also note the brick charcoal grill with 2 levels to the side of the oven!